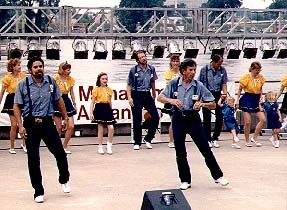 In 1992 and again in ’93 the Fire-on-the-Mountain Cloggers performed at Riverfest in Little Rock, Arkansas. 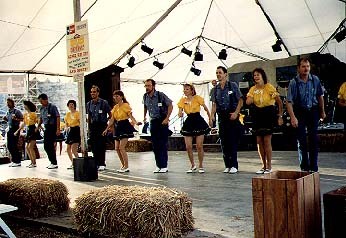 We performed at various times on three different stages for this festival which boasts an average attendance of 300,000 people. Little Rock has the same "up-town, down-home" atmosphere as San Antonio (as well as a river flowing through downtown), so we felt right at home for our shows there. 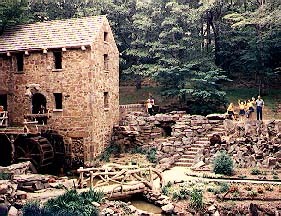 Closer to home, Fire-on-the-Mountain has been involved with San Antonio’s two theme parks: we performed at the grand opening of Sea World of Texas, as well as the Preview of Crackaxle Canyon of Fiesta Texas. 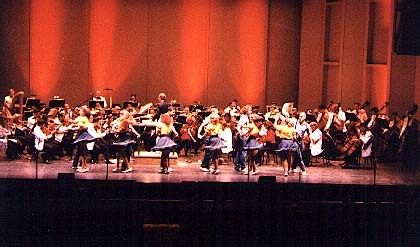 The team has also performed live with the San Antonio Symphony Orchestra in 1997, with guest conductor Erich Kunzel. 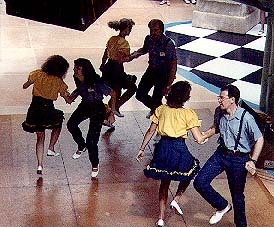 It was a real challenge choreographing clogging steps to fit the symphonic bluegrass which the orchestra played. You’ve also gotta be fast when you’re dancing across the stage in close proximity to the cellos.